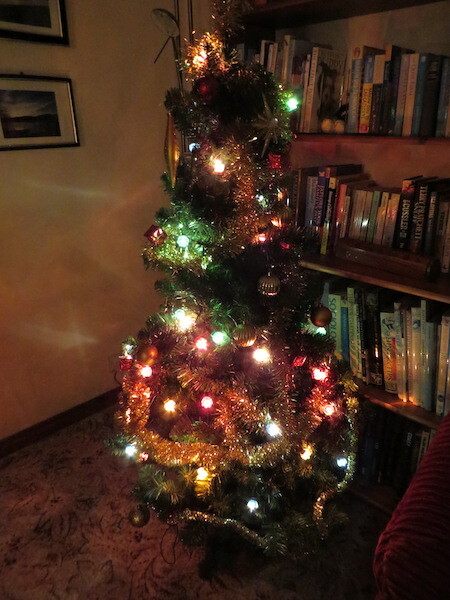 This entry was posted in Blog and tagged Christmas, geo-politics, Hogmanay, love, peace, spirituality. Bookmark the permalink. We’ve had our moments Freda and sought to impact our world. Now the warrior youth hold the sword and fight the battle for change. Their hands will shape the future, and we may see some of it happen, or not. The hour glass may be emptying, but each grain of sand that was ours to live had its impact, an impact that we will see from our perching position of the future! I love the idea of your granny on your shoulder, an image I will live with. 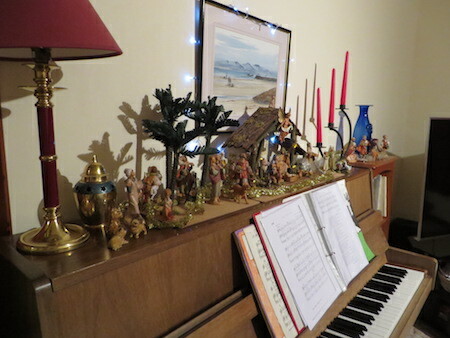 As for your growing nativity the only solution is to replace your upright with a baby grand, then you could have the entire middle East in the scene. I love that you are still in touch with those who have touched your life. You are truly a part of this great universe. After nearly two years of my rarely posting, I am happy to see your thoughtful post on this my first venture into the blogging world in quite awhile. May your 2018 be filled with precious moments. Love always wins, oh, I do hope so. Like you my life is at times focussed on the unpleasant ‘new normal’, I hate all of it; I assume that we mean the same things. That is quite apart from the awfulness that happened in my personal circumstances. So now I am trying to focus less on politics etc. (oh horror) and more on the kindness which is still clearly part of most people’s life. Small villages have their downside but kindness is the more dominant fact of life here. Perhaps we can all show that love and kindness always win in 2018.